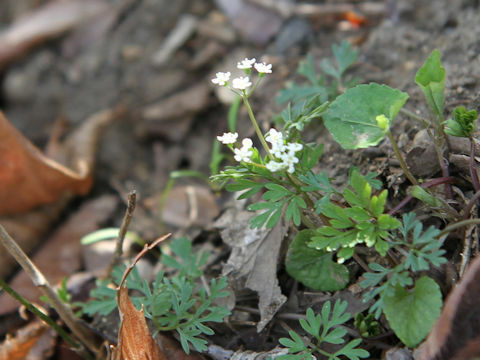 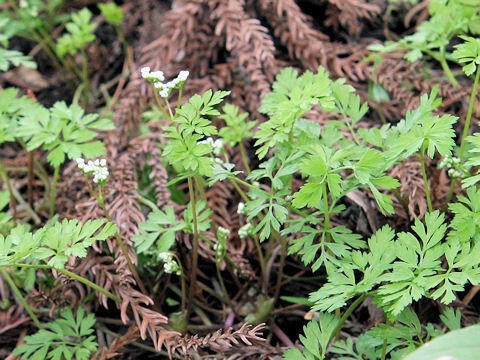 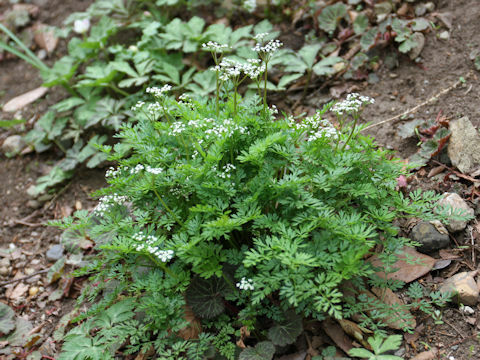 "Sentou-so" (Chamaele decumbens) belongs to the Apiaceae (the Carrot family). 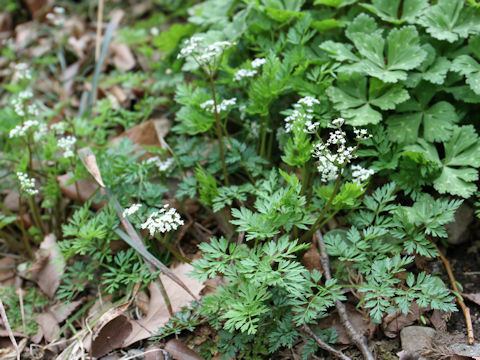 It is a perennial herb that is native to Japan. 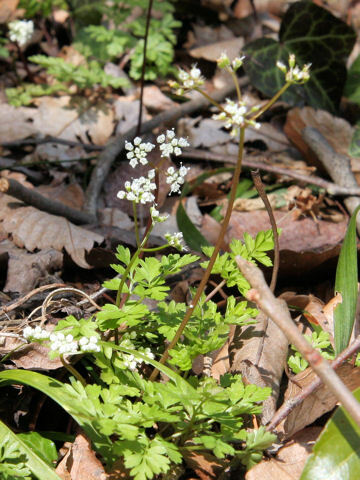 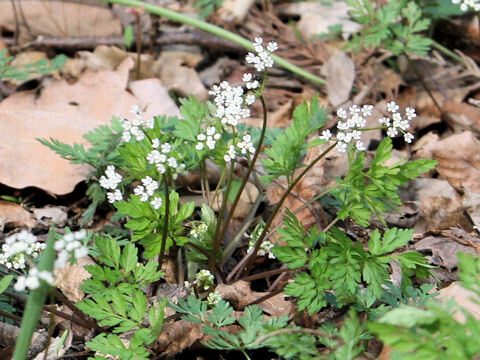 This herb grows in wettish places of mountains or fields and can reach 10-30 cm in height. 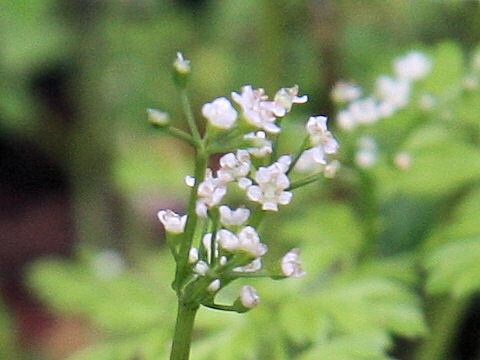 The leaves are basal and trifoliate to triternate compound with purple tinged long petioles. 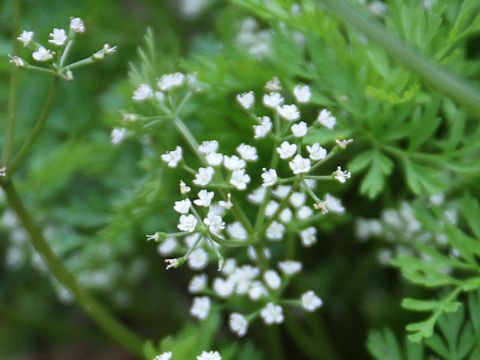 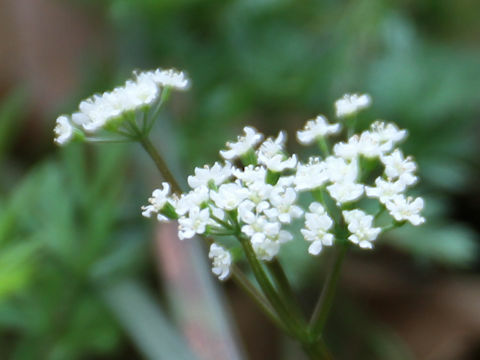 The compound umbels are borne on the flowering stalks and bloom small white flowers from March to May. 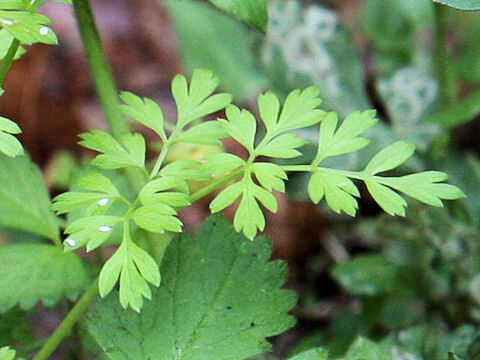 The leaves are edible.